Ian Macleod Distillers, has today announced the launch of the third edition of its multi award-winning Batch Strength series, from its Tamdhu range of single malt Scotch whiskies. Tamdhu Batch Strength No. 003 (58.3% ABV) has been matured exclusively in sherry casks, the majority of which were first fill. 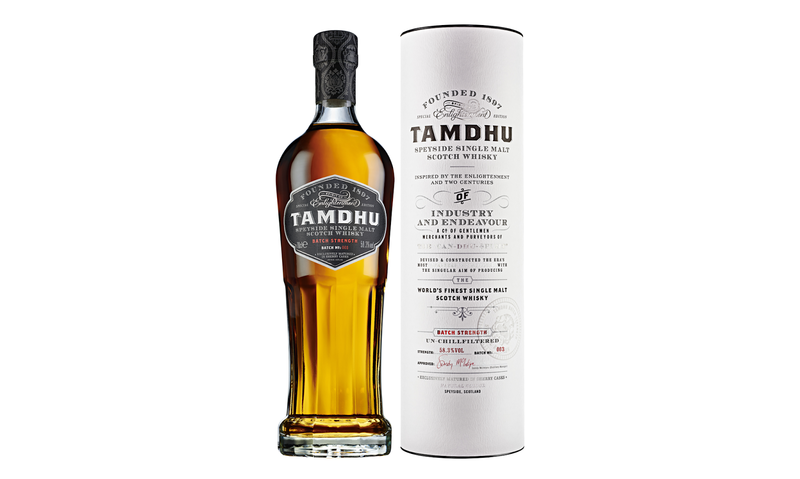 Each of the releases in the Tamdhu Batch Strength series, are distinctive and differ slightly in style and strength. This latest release from the Speyside based distillery, is said to deliver notes of vanilla, winter berries, freshly-shelled nuts, aged oak and warming spices on the nose. Followed by notes of dried fruit, warming spices, citrus zest and apricots on the palate. Tamdhu Batch Strength 001, was named Speyside Single Malt of the Year at the 22nd Annual Whisky Advocate Awards in December 2015. Further awards have included a Double Gold Medal for Batch Strength 001 and 002 at the San Francisco World Spirits Competition 2016/2017, a Gold at the International Spirits Competition 2017 for Batch 002, as well as winning in the Non-Age Statement category at the Spirit of Speyside Whisky Awards in 2017. Tamdhu is owned by one of Scotland’s leading, independent family-owned distillers, Ian Macleod Distillers. Tamdhu was born on the banks of the River Spey in 1897. Its quality is defined by the hint of peat in its malted barley, the natural Speyside water that is drawn directly from the Tamdhu spring and the 100% exclusive use of sherry casks. Tamdhu Batch Strength No. 003, will be available later this month from specialist retailers, for a RRP of £59.99.